Do you have any travel plan with kids on vacations? If yes then here are some of the best ideas that you can consider while traveling in India. These vacations plan something exciting for your kids which will surely make them amazed. You can utilize their vacations in the best way by making them introduced with the enriched beauty of nature. You can let your kids wander in the suggested destinations where they will learn about animals, the vibrancy of cultures, thrilling experience of a camel ride, nothing can beat the experience of houseboat stay, historical monuments visit, and the best one is spending a day with elephants. Scroll down for further detailed knowledge of these ideas. Museum is always the best way to expand their knowledge and India has some of the best and fun museums for kids. Honey and Bee Museum of Ooty is best to get indulge in delicious chocolates and take an educational tour wherein your kids can learn how honey is gathered. The capital of India Delhi itself has many museums that you can explore in your Golden Triangle Tour Package which is the best way to get introduced with the beautiful country. This tour covers Delhi, Agra, and Jaipur in a short span of time. Some of the most popular museums in Delhi are the Rail Museum, International Doll Museum, and Science Museum. Rajasthan is widely known for its iconic forts and palace but when you are traveling with your kids you must be very choosy to pick the ideal destinations in Rajasthan. You have no idea how much your kids will love to enjoy a bumpy camel ride in the sand dunes of Jaisalmer. You can schedule the tour in such a way that during the day take a city tour and in the evening enjoy the camel safari in the golden sand dunes. The safari will make you witness the charm of desert life, sunset view over the dunes, enjoyment at cultural evening over the dunes, and camping in the dunes. Enjoying a toy train amidst to emerald pine forests and exploring several tunnels will surely amuse your kids and making them feel like they are in a different world. 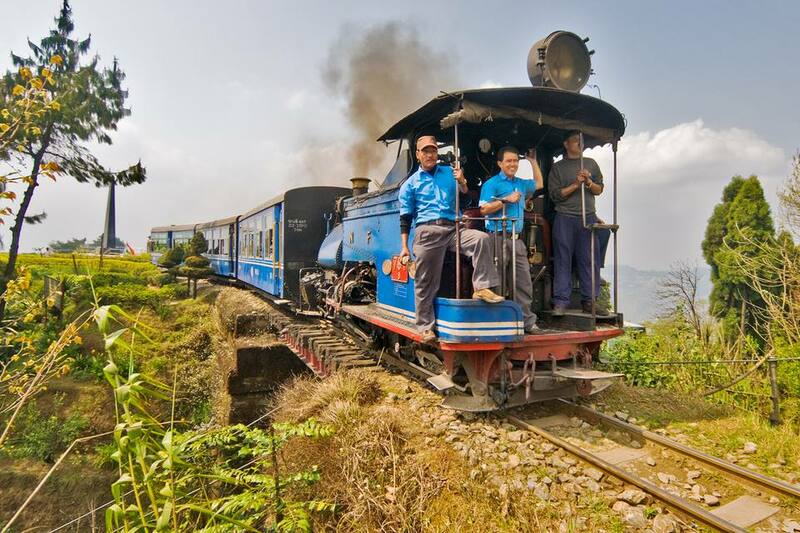 While vacationing in India, you can revive your past by chugging in the steam engine trains in Darjeeling and Shimla. For Darjeeling railway tour, you can enjoy the ride from Jalpaiguri in West Bengal that passes through the lavish green gardens of tea plantation. South India is blessed with such a pleasant landscape that offers you a chance to enjoy the enrich beauty of nature. Kerala is widely attracted by the tourists towards its mesmerizing backwaters which offers an opportunity to enjoy houseboat of Kerala. You can book a houseboat for exploring the backwaters of Alleppey with your kids. Along with this, you can also take your kids to Kumbalangi, a model fishing village where they can see the method of fishing in Kerala. Golden Triangle Tour with Kerala will make you explore the triangle cities along with Kerala tour where you can enjoy houseboat stay in backwaters of Alleppey. The most enticing experience with kids in India is Elefantastic Farm visit in Jaipur. In the farm, you will be able to make your kids know more about Elephants and their lifestyle. You can interact with elephants and create a human bond with them. Elephants are very gentle in nature so it will be easy to make your kids interact with them. These vacations plan with your kids and explore the enriched beauty of the country. India has much more then you expect which will surely amuse you and your kids in the family tour. Why Project Management Career is an Excellent Choice	Bean Bags are not only Fun but Beneficial! Know how!